Our Adirondack Bear Hooked Pillow features an awesome black bear design that combines a warm neutral palette and the big guy himself. 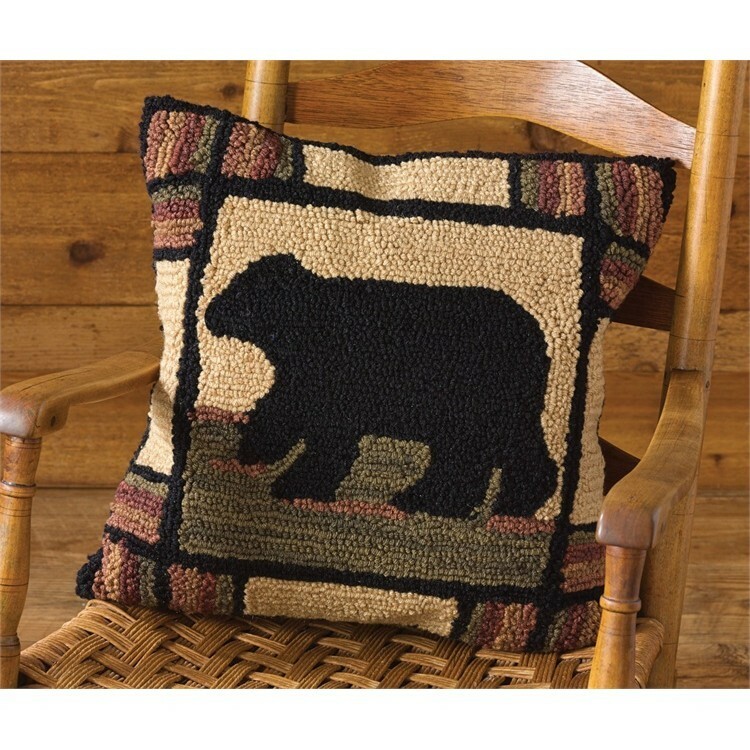 Our Adirondack Bear Hooked Pillow features an awesome black bear design that combines a warm neutral palette and the big guy himself. Handcrafted, hooked polyester yarn. Machine washable in cold water.